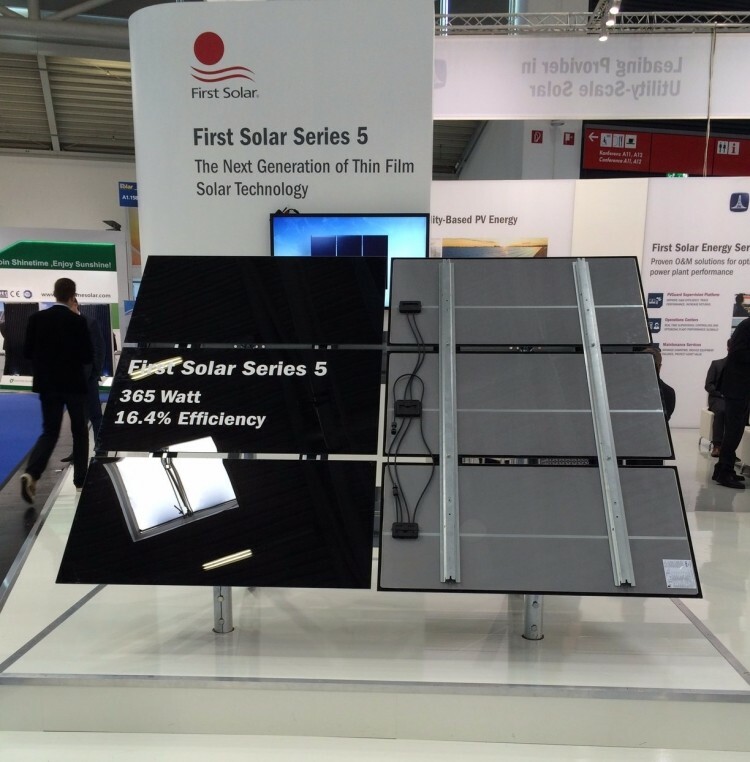 First Solar said that the TetraSun production plant in Malaysia would be converted and dedicated to its CdTe thin-film Series 5 module assembly requirements and be operational in early 2017. Updated: Leading CdTe thin-film manufacturer First Solar is discontinuing development and production of its hybrid heterojunction silicon cell and module technology, acquired via the acquisition of start-up TetraSun. The discontinuation of its TetraSun operations would result in impairment charges of approximately US$90 million to US$110 million. Finlay Colville, head of market intelligence at Solar Media, told PV Tech that rumours had recently surfaced that the TetraSun operations were up for sale again. “Had the activities at TetraSun remained stealth, as they were when First Solar was undertaking its stealthlike CIGS research in the US, then no-one would have been expecting updates; nor would there have been any post-mortem once the company announced out of the blue that the Malaysian operations had ceased,” add Colville. First Solar said it expected its operating expenses would be educed by US$2 million to US$4 million in 2016 and US$8 million to US$10 million annually going forward. "Over the past two years, execution of our CdTe technology roadmap has positioned the product as the industry leader for utility-scale solar, as well as established a promising path into the future. The Series 5 module, and the Series 6 module still in concept development, are game-changing products that position us for exciting growth. They require the full attention of our manufacturing operations," said de Jong. "TetraSun is a sound technology for space constrained rooftops, and served largely as a hedge against CdTe technology competitiveness that had challenged us in the past," he added. "With the success of our CdTe roadmap reflected in our record 22.1% cell efficiency, along with the proven higher energy yield and superior performance inherent in our thin film technology, that hedge is no longer needed." First Solar noted that almost all of the Kulim production associates that had been assigned to the TetraSun production line would move over to the Series 5 assembly line. According to Colville the challenges of brining heterojunction technology to volume production at competitive costs should not be underestimated. “If anyone needed a firm reminder that moving advanced cell architectures from concept to reality is a massive challenge, then First Solar's exit from TetraSun operations provides this in droves. For the highest R&D and capex spender in solar manufacturing to walk away from c-Si efforts is significant, and perhaps all the more prudent compared to setting up a GW-scale factory and trying to convince the rest of the world that everything will be all right on the night. For this, First Solar deserves credit,” concluded Colville.